Great managers shape dynasties in world football. They mark an era of good fortune their respective clubs and gift the audience with joy. Great managers build teams or reshapes one and bring their clubs eternal glory. They are the silent architects of success and are the ones who have their names in history books. Over the years, Juventus F.C. had seen ups and downs since it's creation. They are the #1 club in Italy in the past decade without a shadow of doubt although they were haunted by conspiracies and scandals the decade before. Nonetheless, Juventus are a top side when we speak about Italy and even, Europe. They have won lots of trophies and the 'Old lady' or Bianconeri are expected to win almost every time they are on the pitch. Like every great football club, esteemed coaches or managers shaped their history, too. Without further ado, we take a look at the 4 greatest Juventus managers of all time. Antonio Conte will be remembered as one of the coaches who gave his all for Juventus. As a former player of the club, Antonio Conte arrived at Juventus with high expectations. He was a huge fan favourite due to his days spent as a midfielder featuring for the Juventus side. He led Juventus on the pitch under Marcello Lippi and won the fan's hearts with his tenacity, hard work and leadership as a player. 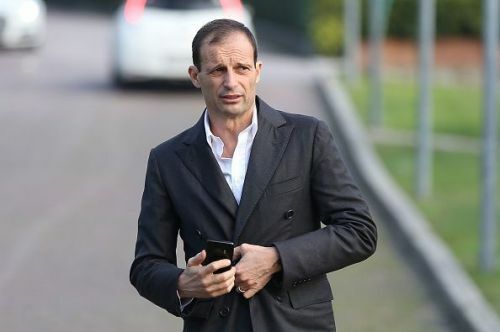 He returned to coach Juventus and replaced former coach, Luigi Delneri in 2011. And despite all the hype and huge expectations surrounding him, Conte kept his head on the ground and didn't disappoint. On his arrival, Conte quickly stamped his authority and reached numerous landmarks in the first season with the club as he equalled Fabio Capello's 28 game unbeaten streak with the club. 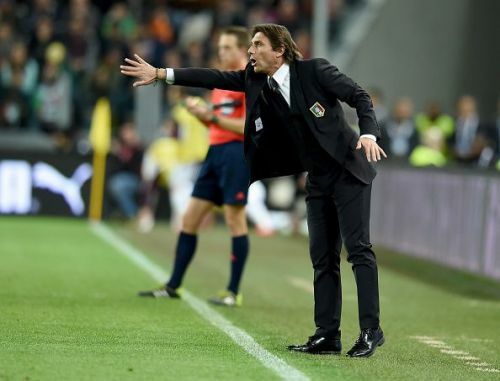 Juventus went on to win the Seria A unbeaten in 2011-12 showing the dominating strength of the team under Conte. Conte managed to reach the Copa Italia final after Lippi and completed a league double over Inter after Fabio Capello in his stint with Juventus. Juventus also managed to win three successive league titles after a long time. But what was truly amazing is how quickly he changed the look of the side and propelled them to greatness. He used an innovative 3-5-2 as a formation with multiple box to box midfielders and wing backs who will push rival defenders at times. Conte also managed to get the best out of young players like Paul Pogba, who played a pivotal role in Juventus's success under him. While Antonio Conte's only failure seems to be their repeated failures in Europe, Juventus were almost unbeatable at times in the Seria A. He must be credited for a superb turnaround, molding a team and helping them into a formidable position in the following years.